I’d highly recommend creating and sending the schedule to your bandmates at least a week in advance. If you’re planning to rehearse new material, you should attach any necessary lead sheets/reference tracks to the schedule so the other members can learn it in their own time. To reduce your set-up time: When you’re playing a show, you’ll want to set-up and tear-down your gear as fast as you possibly can. If you don’t, you risk setting the entire night behind schedule or cutting into another band’s set. This can severely hinder your relationships with promoters, venue owners and other bands. To achieve a good live mix: A good live mix enables you to hear each instrument clearly and better-identify problem areas. Make a game of it: Try to beat your set-up/tear-down time with each consecutive rehearsal. Additionally, you could make the slowest member buy the rest of the band a round of drinks after practice. Keep your gear organized: Make sure you coil cables properly and pack your gear neatly in order to keep things organized. Alongside your gig bag or hard case, I’d recommend getting a backpack and storing gear in individual compartments. Don’t over-do the volume: Don’t get me wrong, I completely understand the urge to turn everything up as loud as it’ll go. However, going extra loud will make it difficult for the vocals to cut through, causing vocalists to strain in an attempt to hear themselves. Additionally, human hearing is more sensitive at quieter volumes. Therefore, a more modest volume will allow you to hone-in on the arrangement and better-identify problem areas. Shape guitar tones around the rest of the mix: Most guitarists set their levels by simply dialling in a killer tone and turning the amp up as loud as it’ll go. However, this often results in the guitars overpowering and muddying up the rest of the mix. I’d encourage you to first obtain a solid mix of drums, bass and vocals before adding the guitars in. When setting your tone, adjust the EQ so that it sits comfortably in the mix. Whilst your go-to tone might sound great all by itself, it might be ruining the mix during band rehearsal. Use in-ear monitors: In-ear monitors are a true game changer as they allow you to achieve a great-quality mix whilst simultaneously protecting your hearing. Once you’ve used them, you’ll find it difficult to use anything else. Sennheiser’s IE 40 PRO Monitors on Amazon are the best-value monitors I’ve used and offer a crystal-clear mix at an affordable price point. A song you all know really well: This could be a song that’s been in your set since day 1 or one of your favorite covers. Improvised jam session: Pick a groove and get the full band to improvise over the top of it. Personally, I prefer the jam session over the well-known song as it places more emphasis on group communication & sensitivity. Listen: Ideally, you’ll be focusing on your bandmates rather than yourself. Make sure you learn your part front to back before the rehearsal so you can focus on the actual arrangement. Be ruthless: If you’re serious about tightening up, you’ll have to take a ruthless approach to rehearsing. If the singer came in half a beat late, do it again. If the drummer stumbled over a fill, do it again. Try and get things as close to perfect as you possibly can. Include breakout groups: This is one of my favorite rehearsal techniques. Instead of simply running through the material as a full band, try rehearsing individual elements in isolation (such as the vocal parts or the rhythm section). This ensures everyone nails the individual components of the arrangement before incorporating them into a full band setting. 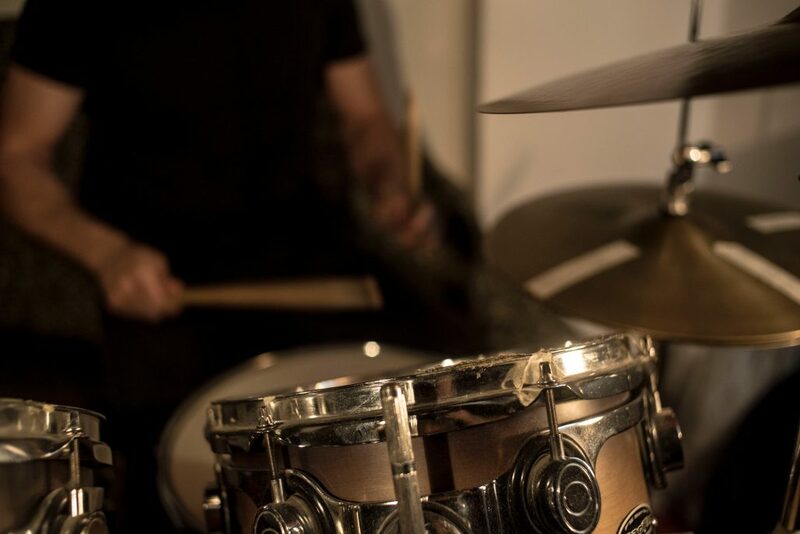 Practice turnarounds and stops on a loop: One of the best ways of tightening up your band is to rehearse turnarounds and stops on a loop for several minutes. Rehearse for the stage: Whilst you might feel like a total idiot rehearsing your stage presence, it’s absolutely necessary if you want it to be convincing come showtime. In addition, I’d recommend getting into the habit of positioning yourselves as if you were on stage. Whilst rehearsing in circle formation allows for easy communication between members, it can cause you to become overly-reliant on your vision. This can really catch you out at a gig if you haven’t prepared for it. I’m a huge advocate of setting aside time for active discussion during rehearsal. When holding active discussion, members should feel encouraged to highlight the strengths of the rehearsal and provide constructive feedback if necessary. This allows everybody to contribute equally to the creative process and helps flag up any issues. When holding active discussion, make sure you take an objective and level-headed approach to handling other member’s feedback. Try to leave your ego and emotions at the door and prioritize the interests of the band over your own personal interests. In order to get the most out of your active discussion, I’d strongly recommend that you video your rehearsals. Videoing your rehearsals allows you to view the band from an audience perspective, meaning you’ll get an all-encompassing idea of what you actually look and sound like on-stage. This not only offers a better perspective of your band, but also serves as a point of reference during active discussion. I’d suggest investing in a dedicated camera for rehearsals such as this one in order to keep everything in one place. I’d suggest having at least a ten minute break for every hour of rehearsal. During your break, make sure you go and do something totally unrelated to the rehearsal. Whilst this might be as simple as going to the bathroom or checking your phone, it’ll allow your brain to fully-process the last hour of rehearsal. So few bands actually make use of a practice journal, despite it being an immensely helpful resource. Whilst you might want to use an actual notebook, the ‘notes’ feature on your phone will work just as well. At the end of each rehearsal, jot down a few summary notes. Make sure to include what you worked on, what went well and what needs to be improved. In addition, make sure you’re reviewing your practice journal on a regular basis to keep track of your overall progress and resolve any recurring issues. Before you tear down your gear, take a few minutes to plan the following practice whilst the triumphs and pitfalls of the current practice are still fresh in your mind. This’ll ensure the right things get worked on for next time. Just like you did with the set-up, you’ll want to practice tearing down your gear as quickly as possible. If you’re rehearsing in a professional practice studio, make sure you leave it exactly how you found it. Once you’ve finished the rehearsal, you might consider holding more active discussion over a drink or some food for a little while.